C.S. Lewis' Prescient 1937 Review of The Hobbit by J.R.R. Tolkien: It "May Well Prove a Classic" | Open Culture C.S. Lewis' Prescient 1937 Review of The Hobbit by J.R.R. 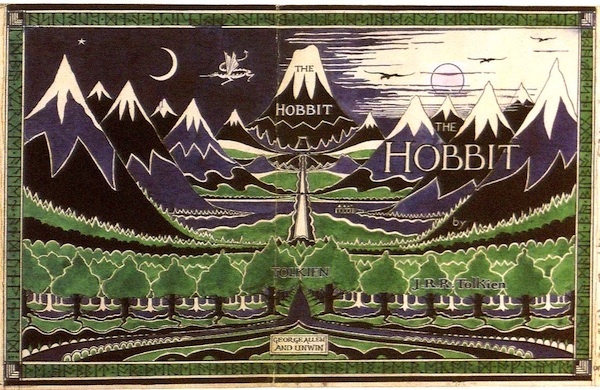 Tolkien: It "May Well Prove a Classic"
In 1937, C.S. Lewis (who would later write The Chronicles of Narnia -- find it in a free audio format here) published in the Times Literary Supplement a review of The Hobbit by J.R.R. Tolkien. Lewis and Tolkien were no strangers to one another. They had met back in 1926 at Oxford University, where they both served on the English faculty. In the years to come, they formed a close friendship and joined the Inklings, an Oxford literary group dedicated to fiction and fantasy. The Hobbit ... will be funnier to its youngest readers, and only years later, at a tenth or a twentieth reading, will they begin to realise what deft scholarship and profound reflection have gone to make everything in it so ripe, so friendly, and in its own way so true. Prediction is dangerous: but The Hobbit may well prove a classic. The complete review has now been republished, and you can read it over at The Paris Review.